A great problem with urban design is that if you live in a city, you can never get away from your work. This leads to further consideration of how you might like the city to be, and taking on additional projects in free time. San Francisco has one of the most complete Beaux Arts civic centers in the United States. Yet, the focal point at Market Street was left strangely unresolved. This project was an attempt to resolve the overall plan and add new and useful activities to the area. Design drawing by hand is not dead. 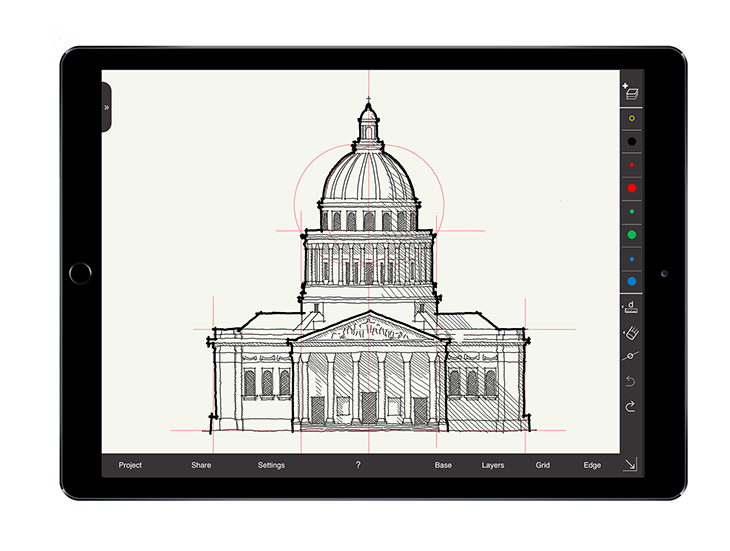 Far from it, and new tools like the iPad give designers new abilities to design whenever and wherever they like. I co-created Arrette as a simple tool for designers to take advantage of the digital era while retaining the familiarity of pen and paper. Sidewalk parking is a huge problem for pedestrians because it reduces the capacity of a sidewalk and sometimes even forcing pedestrians into the street to walk. Unfortunately, in some place rules about sidewalk parking are poorly enforced. To point out this issue, and to aggravate myself, I have collected examples of sidewalk parking from all over the world.